The ingredient list of Gut Garden’s blend is a who’s who of fibers used over the years in studies on gut health, each ingredient a proven prebiotic. Prebiotics are special fiber types that promote the growth of beneficial bacteria in the human gut. “A prebiotic is a selectively fermented ingredient that allows specific changes, both in the composition and/or activity in the gastrointestinal microflora that confers benefits upon host well-being and health.” (Wikipedia). I’ve spoken with Lily Lopez, Gut Garden’s founder (Facebook Page), and she says this blend helped her to overcome years of gut problems that conventional approaches could not fix. I’ve been writing for several years about the benefits of this type fiber blend, and while it is entirely possible to simply buy the different fibers and make your own blends, these fibers are expensive. At $39.99 for a pound, this seems a bit expensive. However, if you’ve ever put a custom blend together at home, you know how expensive these fibers can be. Larch Arabinogalactin sells for about $36/pound; Glucomannan, $20/pound; Inulin is found for around $20/pound; and Acacia senegal can set you back $50 for a pound! So to make this blend on your own, you’ll need to lay out well over $120 for the ingredients. And while it certainly might make sense to some of you to go this route, many prefer the simplicity of a proven blend, mixed and packaged for convenience. For those new to prebiotics, or as a gift this Christmas, I think that a blend like this is a really good idea. It takes a lot of the guesswork out of sourcing individual ingredients and lets you try a blend that worked well for Lily Lopez and others. Just to be clear, I’m not in any way “in cahoots” with Lily or Gut Garden, I’m just excited to see this blend on the market. It shows me that people have been listening to me (and others) for the last couple years. I even tried to make a marketable prebiotic product, but I found the hurdles were too great, especially living in Alaska, far from transportation hubs, packaging facilities, and Amazon warehouses. I’ve worked in similar fashion, pro bono, for the makers of Wedo Gluten Free Banana Flour, Super Stacks Prebiotic+, and Elixa Probiotics (and their soon to be prebiotics!). If you buy any of these products by clicking my links, I may get a small referral fee, but, trust me, these referral fees are not enough to make me want to steer you towards a bad product! Five years ago, I don’t think there were any prebiotic supplements available, they’ve started slowly appearing, but most of what I see is a waste of time. There are several products that contain “fiber” sold as prebiotics, but the fiber types and dosing are all wrong. As I see new products hit the shelves, I will do my best to highlight them. Gut Garden would like to offer my readers a special discount of 15% off for purchases bought through Amazon. Just enter the code XEPW9SOG when you check out. This blend can also be bought at the Gut Garden website, and they run special offers from time to time, as well. 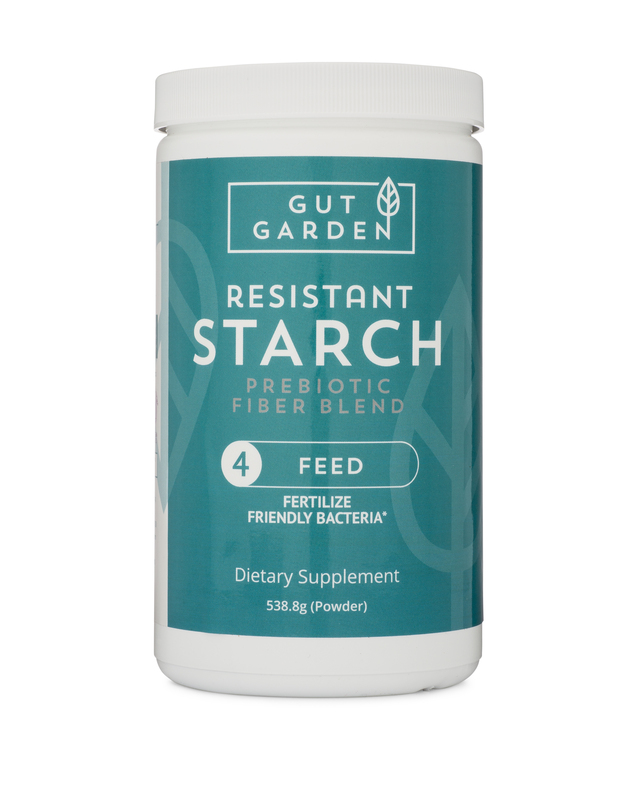 Prebiotic fiber blends and resistant starch supplements are just starting to appear. It pays to do your homework to ensure that you are getting a quality product and not just a jar of sawdust. I think that everyone would benefit by taking a prebiotic supplement unless you are eating a diet that specifically focuses on quality fiber. 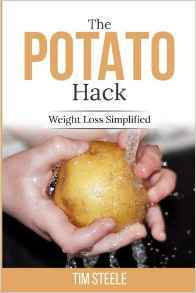 I think it’s best to get all of your fiber and resistant starches from real foods, but as I have discovered, it’s pretty hard to do (though not impossible, as Angelo Coppola shows us!). Alternatively, buy (or make) a prebiotic blend that you like, and take it on days when your diet is lacking in quality plant fiber, especially around the holidays when bad food choices abound. If anyone has any questions about Gut Garden’s new RS blend, I’m sure that Lily Lopez will be thrilled to answer them here. Tim, I’ve been noticing it as well. For a couple of years I’ve tried to find Plantain Flour and couldn’t find it anywhere. No one had heard of it. Last year while in Australia in a health food shop in a little out of the way place (Leura) in the Blue Mountains NSW I found a bag of Green Banana Resistant Starch. Apparently some mob had recently added it to their product range and the sales rep had persuaded the owner to add it to their stock. This year, again in Australia, I was seeing the product in all the health food stores that I visited. Things are really picking up. There are a bunch of initiatives in the US for food manufacturers to start defining “fiber” in better terms, and resistant starch will soon become a new buzz word, and selling point for snacks, breakfast cereal, and bread/pasta. I think once people start seeing “resistant starch” on boxes and labels, they will start looking for supplements. Then things will really take off. What problem did Lily overcome? Have others tried her product and overcome issues? How much did they take? Hi thehomeschoolingdoctor – I suffered from IBS-C for about 10 years before receiving a diagnosis or treatment plan. Going so long without repairing my gut led to a number of other problems, such as hypothyroidism, blood sugar dysregulation, brain fog, swollen joints, low energy, and nutrient deficiencies and weight gain despite a pretty healthy diet. I was eventually able to work with a healthcare practitioner that diagnosed me with a parasite, h.pylori, SIBO and “leaky gut.” Once I cleared the infections and adopted the SCD diet, I felt about 85% better. In response to your question, would my RS blend alone have restored my health? No. It’s definitely not a “magic bullet” for those with complicated chronic health problems. However, once I cleared the major hurdles, it helped elevate my health “plateau” and I began to feel much better. For example – the SCD diet is very restrictive, but with RS I was able to better tolerate food reintroductions. I have better blood sugar control, whereas before I had to severely restrict carbs and sugar. Losing and maintaining weight is much easier, and my problems with digestion/constipation are over. Maintaining optimal levels of nutrients is also much easier, and as a result I have more energy, better brain function and an overall better sense of well-being. That being said, I don’t think there’s anyone that wouldn’t benefit from supplementing with prebiotics. It seems like almost everyone I know anymore (especially women) suffers from some kind of chronic digestive discomfort. And more than that – while there’s still a lot to learn, I think the research so far is clear that harmful bacteria wreak havoc on the entire body. And if you can do anything to tip the balance in your favor, you will be rewarded with improved function in nearly every cell and organ. In response to your second question – start slow. Bloating and gas is common at first due to rearrangements in your bowel bacteria. I started with about a half teaspoon. Today I can tolerate a full serving or two per day. If you experience severe GI distress at very low doses, it’s a good indication of severe SIBO/dysbiosis, so contact a healthcare practitioner before continuing. Unfortunately, with prebiotics, it’s often said that those that need it the most suffer the most severe side effects. Anyway I hope this was helpful! Sorry for the LONG response, but I tend to be wordy, especially with subjects I’m passionate about! Please don’t hesitate to contact me if you’d like to continue the conversation or if you have any further questions. lily@mygutgarden.com. Was the 15% discount just a one time thing or has it been discontinued? I have not been able to get it to work when I have tried to re-order. Thanks! Hi Gina- Unfortunately the 15% off just applies to your first purchase. Please send me an email at lily@mygutgarden.com and I can send you a discount code for your second order. Thank you for being a customer! Thanks Lily! I already placed my 2nd order but thanks for the offer. I appreciate the information and for you being attentive to my inquiry. Thanks!